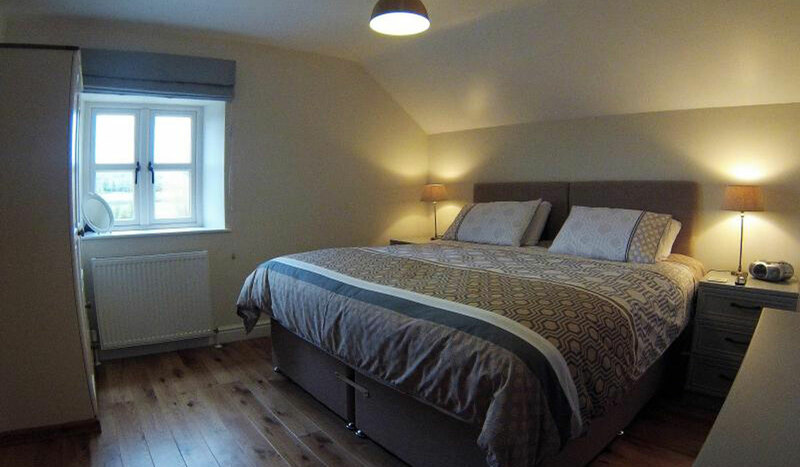 Two double bedrooms, each with ensuite shower room. 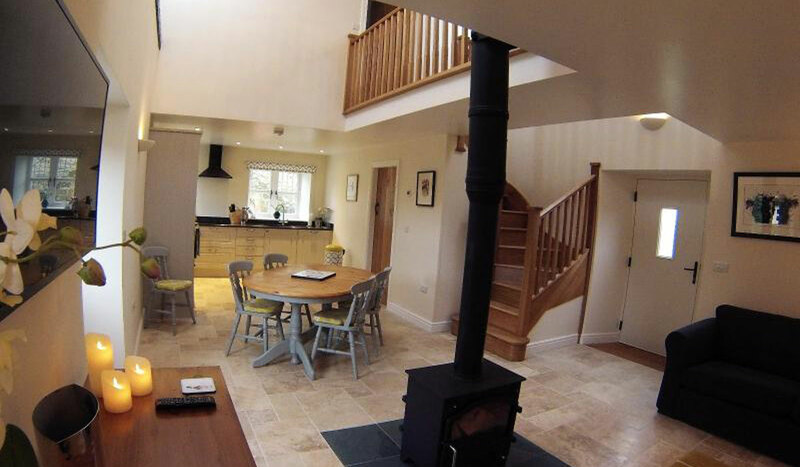 An open plan living/dining/kitchen with wood burner, vaulted ceiling and galleried walkway. 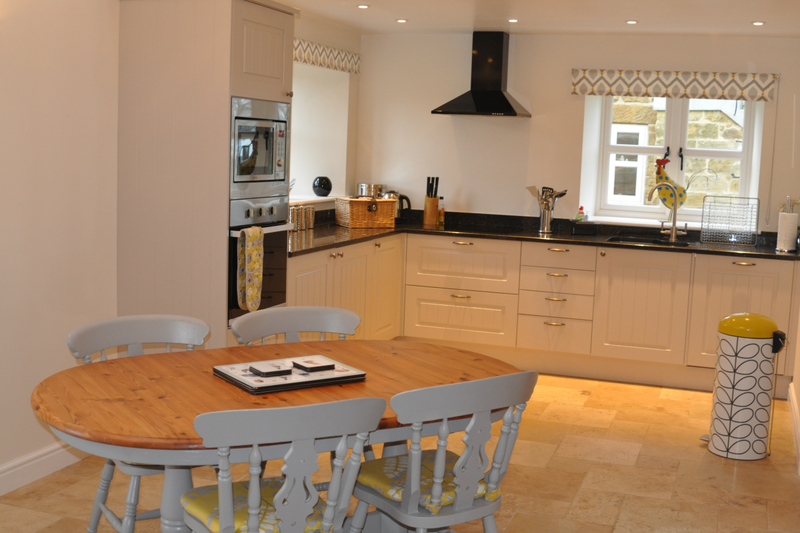 A detached two bedroom barn conversion completed in the summer of 2016. 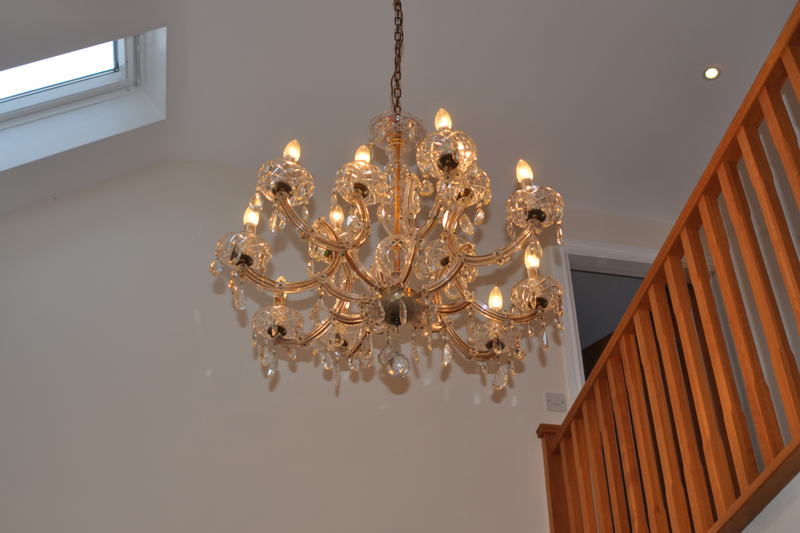 On the ground floor there is a large, open plan living /dining/ kitchen with underfloor heating. 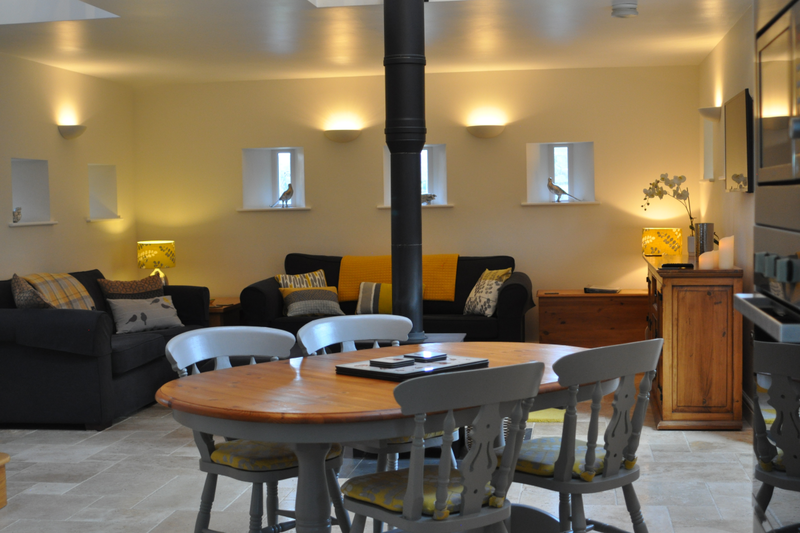 The living area has a feature wood burning stove and a Smart TV with separate DVD player (there is good, free wi fi connection to the barn). 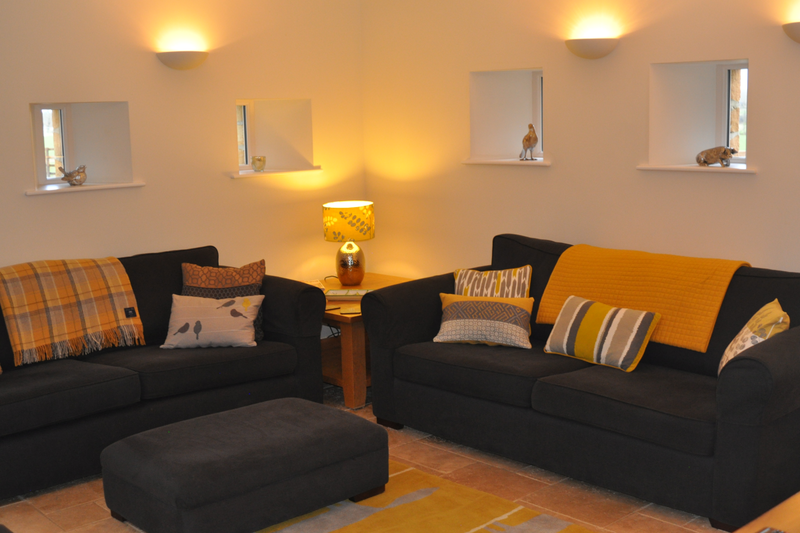 One of the sofas in the living area converts to a full size double sofa bed which can be used to provide occasional alternative/additional sleeping accommodation for up to two extra persons (additional cost applies, £25 per person per night). There is also a downstairs cloakroom/w.c. 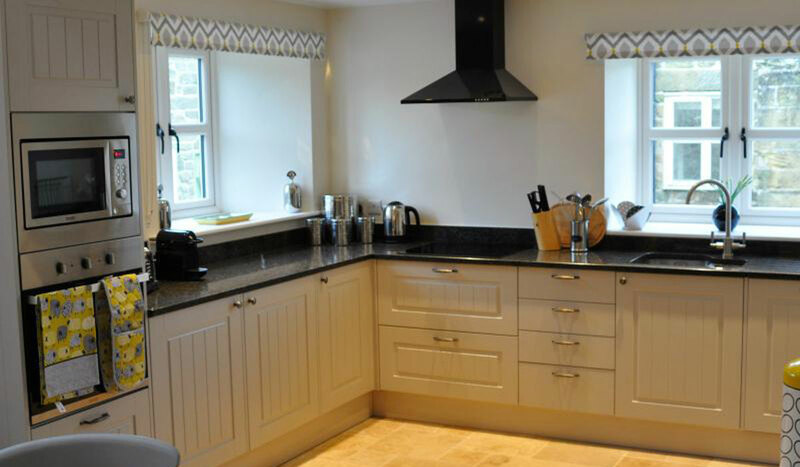 The kitchen is very well equipped and fully fitted with granite worktops, integrated oven, microwave, induction hob, fridge, separate freezer, dishwasher and Nespresso machine. 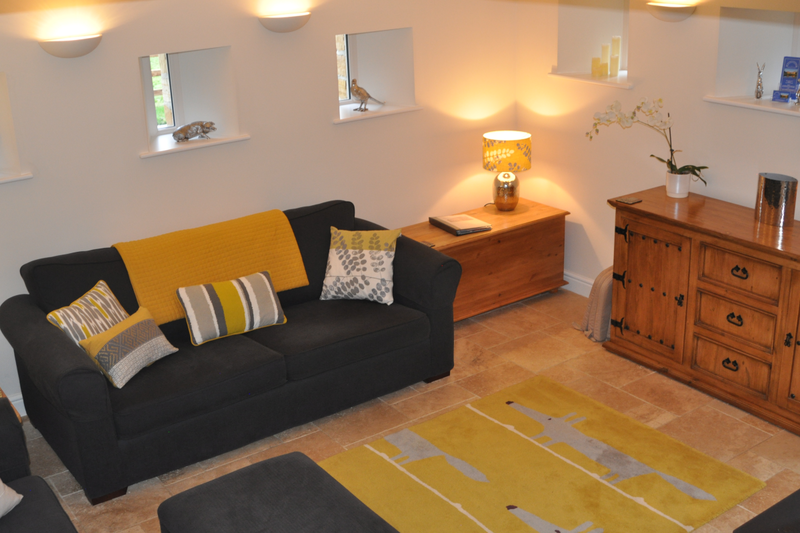 There is a separate guest laundry in the Courtyard with washing machine and tumble drier available for use by guests. 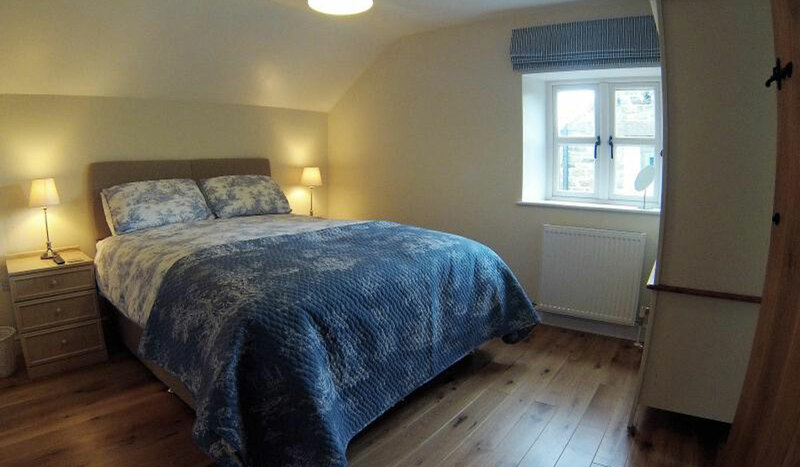 On the first floor, which is heated by radiators, there are two double bedrooms, one with a super king (6ft) zip and link bed and the other with a king (5ft) zip and link bed, both beds can be split as singles if required. Each bedroom has a TV and an ensuite shower room. The bedrooms are connected by a galleried walkway which overlooks the double height living/dining area. Outside there is a private patio area overlooking the fishing lake and the Hambleton Hills with a barbecue and table/seating.